Self-fertile with pretty pink flowers which bear large, deliciously juicy fruits. Ripens in August. Supplied in a 4 litre pot at a height of approximately 70cm (27½"). Small trees adapted to grow in different container sizes. And if you want, you can also transplant them into the open ground. 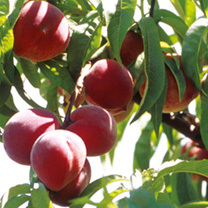 They are a selection of the most tasty varieties of the most popular fruit species. All are self-fertile. Trees are grafted onto the most innovative rootstock, which reduces the vigour of the plant, provides a controlled growth and improves the characteristics of the fruits! 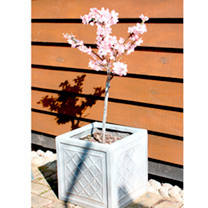 Eventual height 1.5-2m, depending on container size. All trees need pruning in some way and trees are very adaptable. 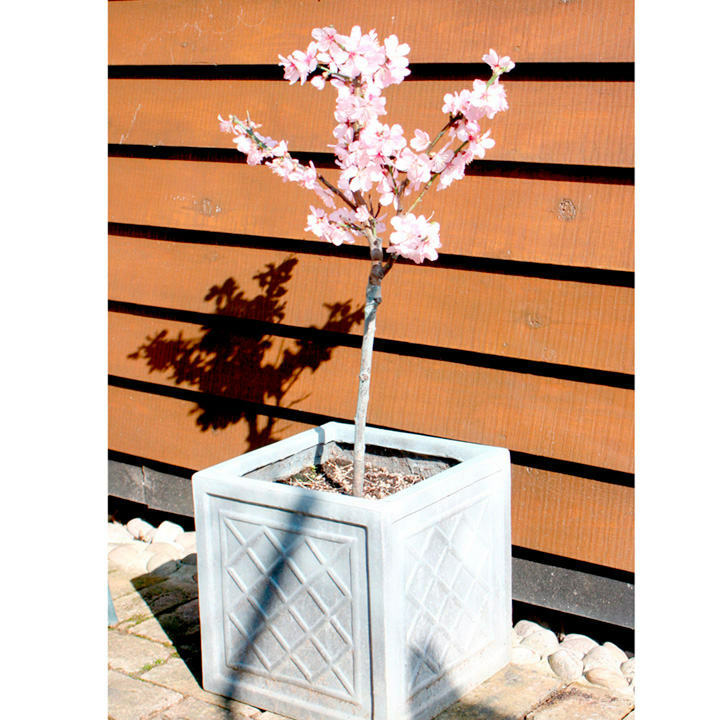 What makes our patio range special is that they are quite happy in a pot for their lives, and naturally have an eventual height that does not exceed 2m, but they are just as happy and productive at 75cm. That is down to rootstock and the clonal selection. 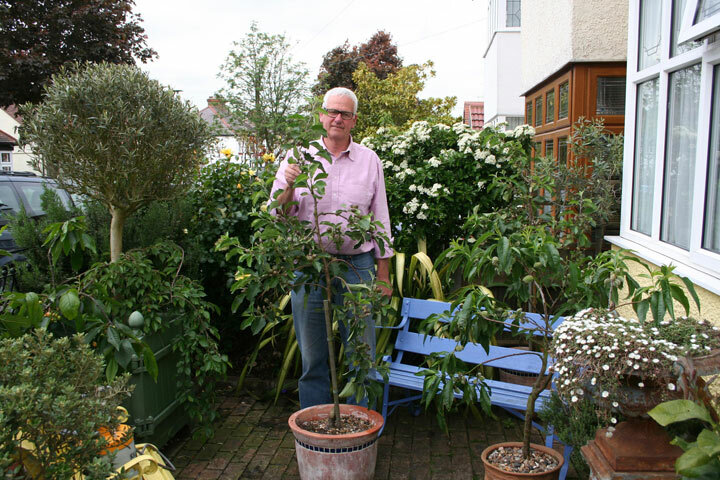 Please see our supplier’s comments about his trees - In this image (under the main image) is a Garden Sun Red apple tree which I have grown in the same pot for the last 5 years. As you can see it is my height and that’s the height I wish it to be. It would be equally happy at 75cms though. Just to the left of me in the image is a patio almond which is now 7 yrs. old and as you can see that is just 75cms high and covered in fruits. It’s the size I wanted it to be.